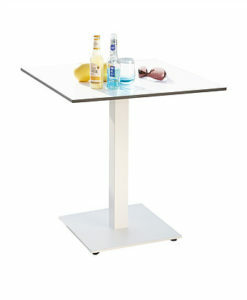 Agatha dining table is great for hospitality and restaurants choose from 2 different sizes. 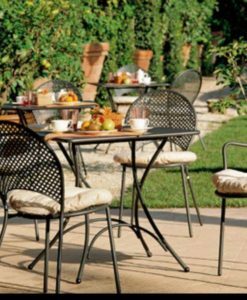 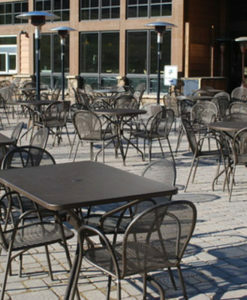 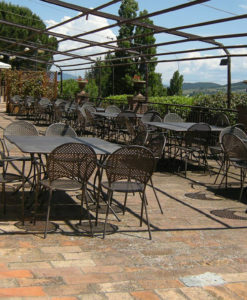 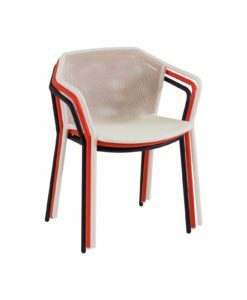 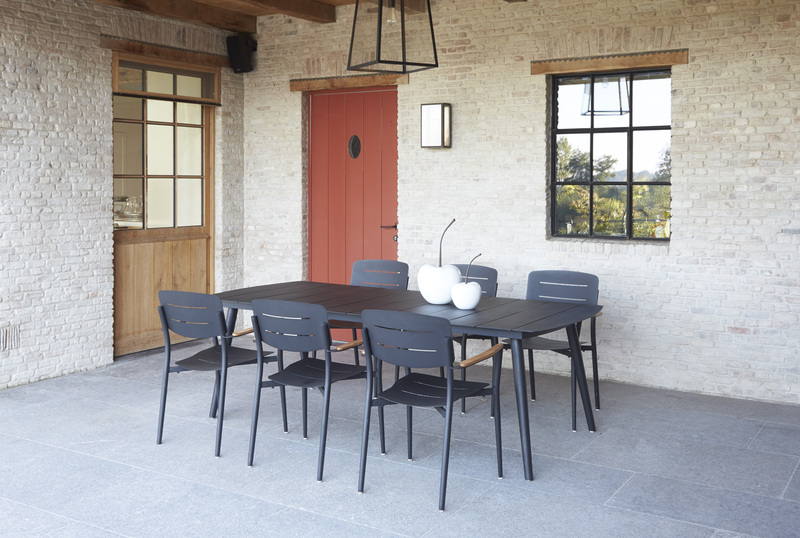 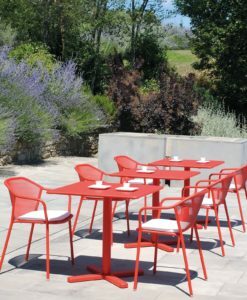 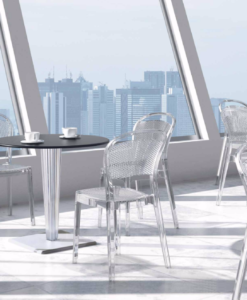 Made of powder coated aluminum, this dining table and chairs are perfect for outdoor use. 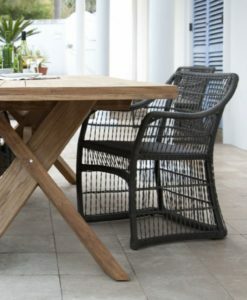 Maintenance free, dining chairs stackable with teak arm rest. 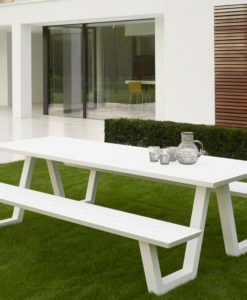 Modern aluminum rectangular dining table boasts a 100% powder-coated aluminum construction which ensures years of lasting durability. 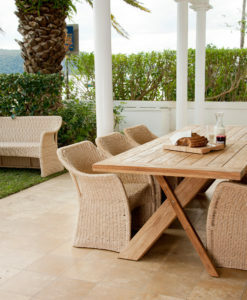 In addition, this chic slatted design adds a touch of sophistication to any space, which adds to its versatility. 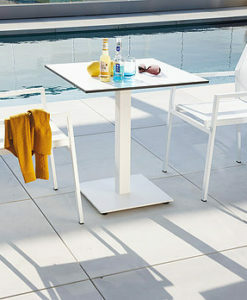 Furthermore, this modern aluminum rectangular dining table comes with coordinating chairs also made from powder coated aluminum. 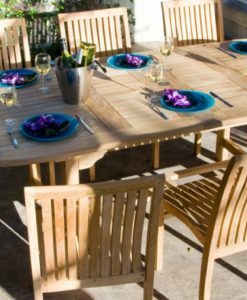 Additionally, this 99” table can seat up to 8 people. 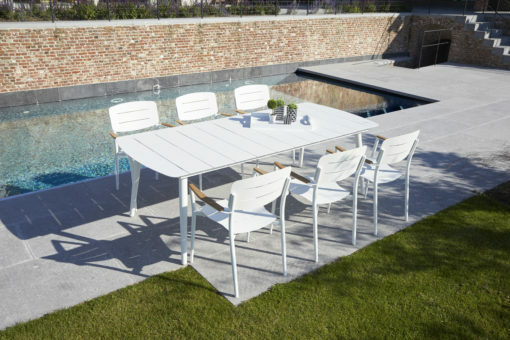 An artisanal pairing of just aluminum and powder coated aluminum, the Agatha modern dining aluminum rectangular dining table offers an industrial look that still reads cool and clean. 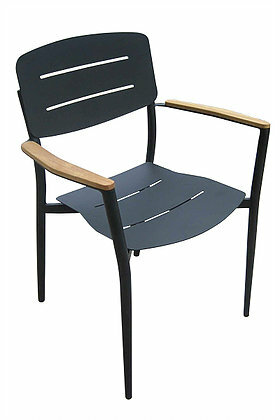 The top also displays one-of-a-kind patterning. Whether you’re hosting the monthly book club meeting, getting the whole family together for dinner, or simply gathering friends around for afternoon tea, you can do it all from the comfort of your own back yard with the Agatha Modern Aluminum Rectangular Dining Table. 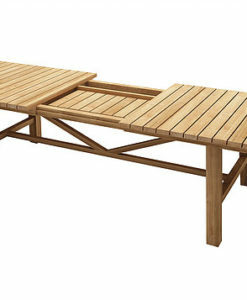 This handsome and spacious slat-top table comfortably accommodates eight, and the sleek cool finish is sure to make a stylish statement. 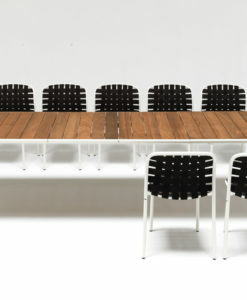 Also, Agatha Dining Table is great for hospitality and restaurants, choose from 2 different sizes. 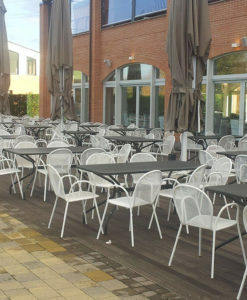 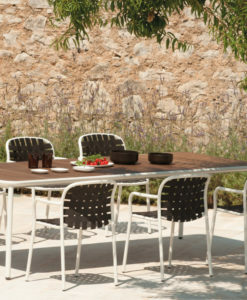 Made of powder coated aluminum, this dining table and chairs are perfect for outdoor use. 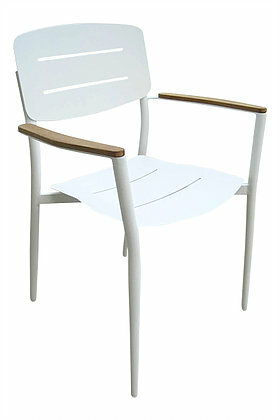 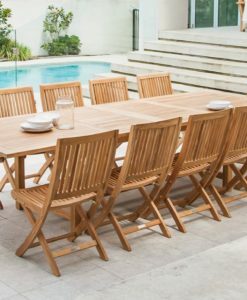 Maintenance free, dining chairs stackable with teak arm rest.